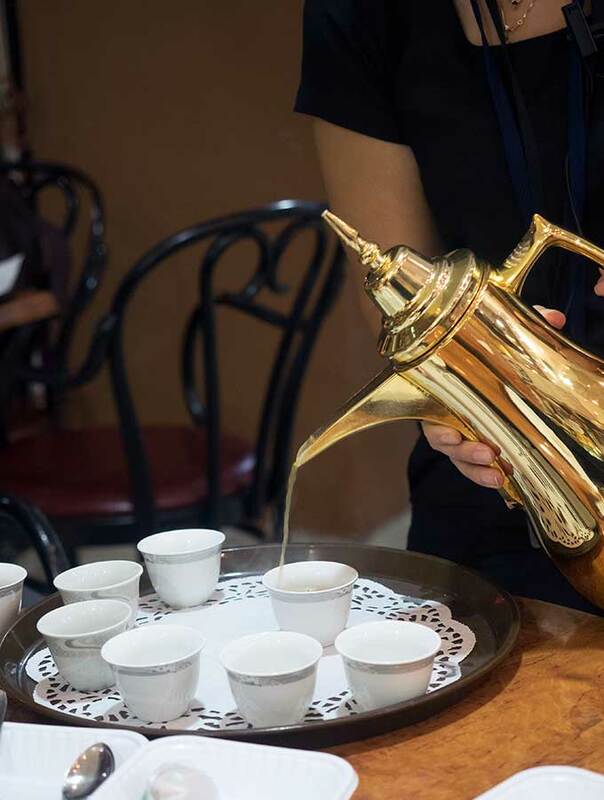 Home » Is it worth doing a Food Tour in Dubai? Is it worth doing a Food Tour in Dubai? 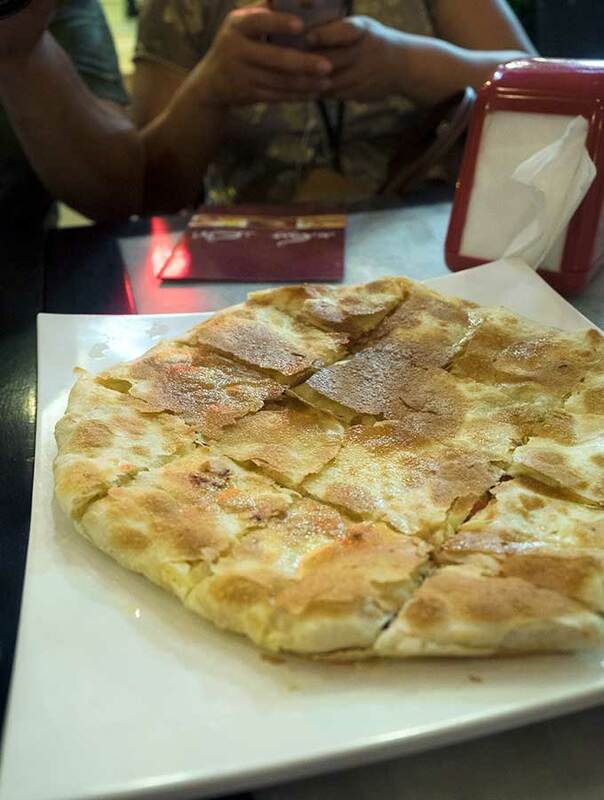 An in-depth look at Frying Pan Adventure’s signature Dubai food tour, Middle Eastern Food Pilgrimage. 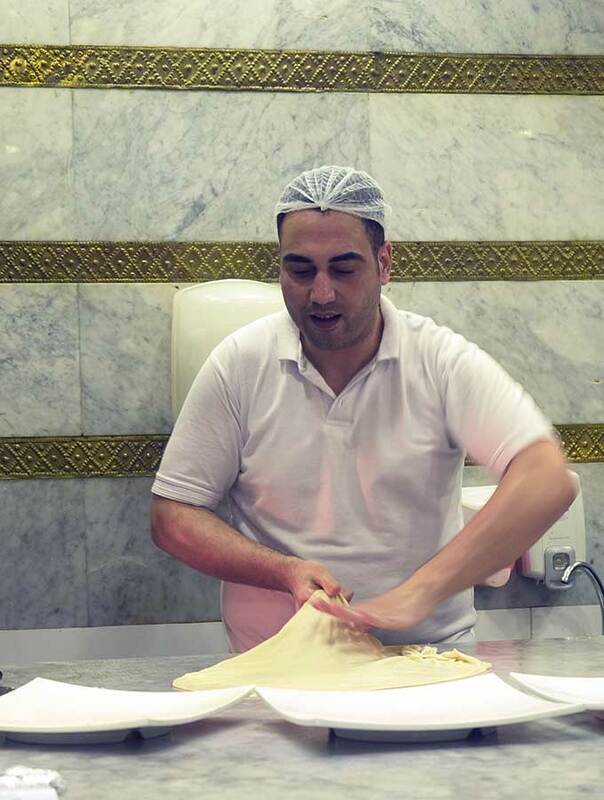 This is their Ramadan adapted Dubai food tour around Al Rigga and Deira. Dubai is a sprawling city, its city limits expanding daily. Not a city to encourage an exploratory walk, like Paris or Hong Kong. It’s ridiculously hot during the day, the pavements aren’t the best and it’s a dusty city. The desert Dubai continues to reclaim makes sure to keep its presence known. Dubai is a public transport or car kind of town. Where to start regarding the best places to eat can be daunting. Dubai is not short on mega malls and Michelin restaurants to satisfy your stomach. Easy to get to by a non-expensive taxi and airconditioned! After a more down to earth, local, dining adventure? Want to eat where locals enjoy and frequent? Then I would say yes, it is worth doing a food tour in Dubai. My visit to Dubai is during Ramadan. Ramadan is the ninth month of the Islamic calendar, the Holy month. Dubai is a different city during Ramadan. Extremely quiet during the day due to everyone fasting and coming alive at night. I’m booked on a special edition of Frying Pan Adventure’s signature Middle Eastern Food Pilgrimage tour, adapted for Ramadan. Timed to start after sunset (Maghrib) when the Muslim community of Dubai are able to break their daily fast. 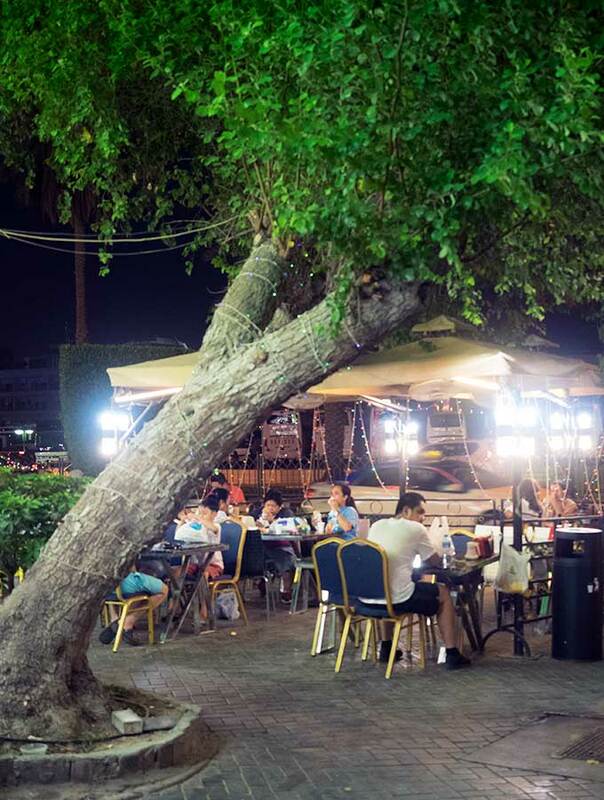 Our Dubai food tour will take us through Al Rigga, one of the first communities to be urbanised during the 70s and 80s. It’s a non-touristy area of Dubai full of local flavour. The tour has promised the best street food in Dubai, also visiting small and humble restaurants in Deira. I head to the meeting point I had been given to meet Nahla and others doing the Dubai Food Tour. Nahla is Frying Pan Adventure’s Curator of Bespoke Experiences and our informative guide for the evening. The group of around 10 settles into our first eating port of call, and Nahla hands out some communication devices. We hang small audio devices around our necks. Enabling us to hear Nahla without her having to shout. Plus at the push of a button, we can ask questions and have a conversation with the rest of the group. Do bring your own headphones/earbuds, if you forget or don’t have any they will be supplied for you. Dubai does come alive at night. Our first stop is for Shawarma and we sit outside under a canopy of fairy lights. The restaurant is buzzing inside and out. It is interesting to note that most of the patrons are men. There are a few families enjoying dinner along with expats and the odd tourist. While we wait for our Shwarma to turn up Nahla hands around a bag of dates. The bag has both large and small dates and we are given a brief date lesson. Also an appropriate offering as during Ramadan dates are used to break the day’s fasting, symbolising the beginning of Iftar, the evening’s feasting. We are trying Syrian shawarma. The bread is freshly baked and pillow soft. 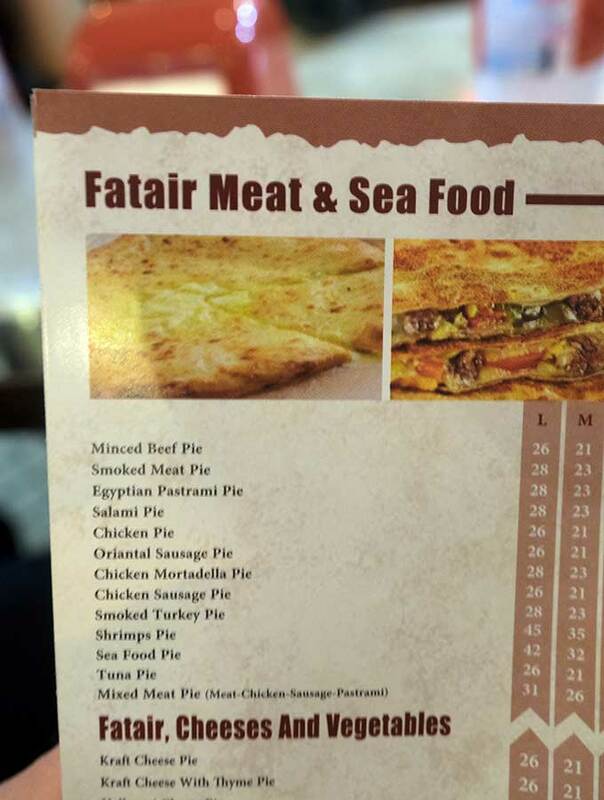 A choice of chicken and lamb, most people try half of each. As I don’t like lamb I have a whole chicken shawarma to myself. Inside the folded flatbread chicken is covered with garlic sauce accompanied with lettuce, pickles, fries and a hint of lemon. I always thought that the inclusion of fries in a kebab or shawarma was a horrible Australian invention. I never understood it and find it a strange addition. I’m obviously wrong and pose the question. Why fries? It’s not a traditional ingredient. The answer I am given is that fries have been a part of life for the past 20 years and that’s why they are in the shawarma. Fries or no fries it is the tastiest shawarma I’ve eaten. 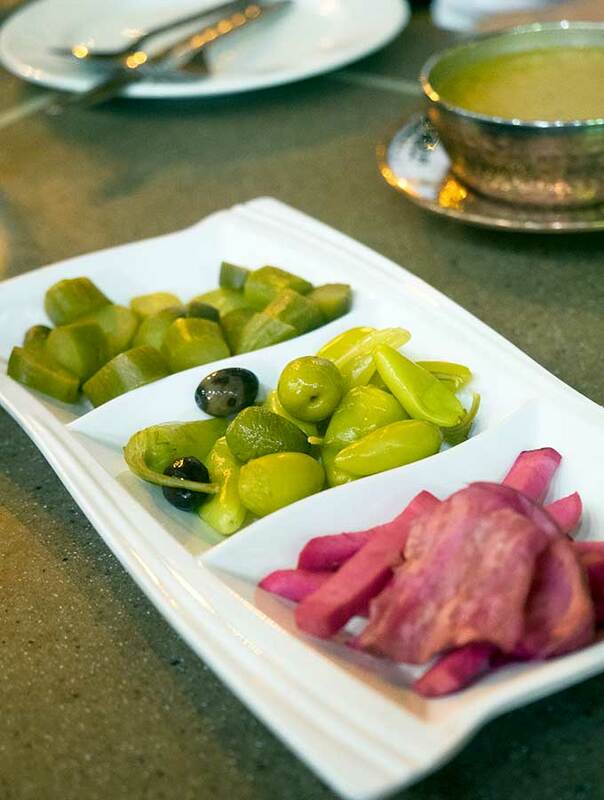 Along with our shawarma there are pickles, the first of many pickles, and some Syrian soup. It is the shawarma that wins hands down. Where does falafel originate? Nahla asks our group and various responses come flying back. I add my two cents and state Egypt. I’m right. It helps when you have spent time in Egypt. 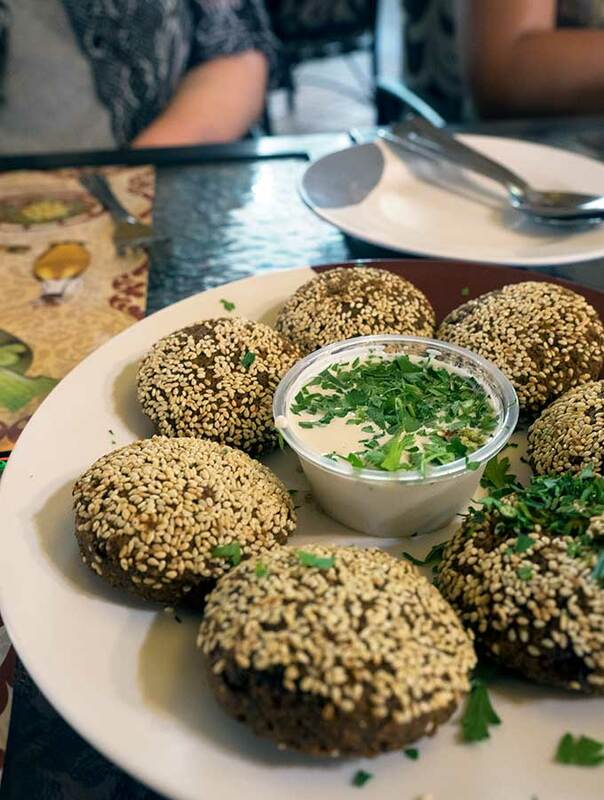 Many countries claim falafels as their own, but they have been traced historically back to Egypt. 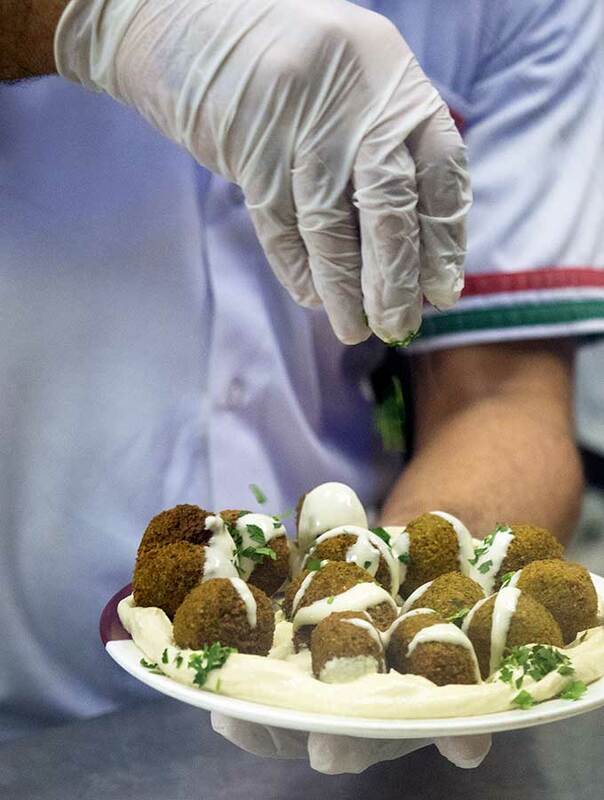 This corner takeaway offers some of the best falafel in Dubai. They are crunchy on the outside, but once you bite in they are soft and fluffy. So far my stomach has been quite pleased with Frying Pan Adventure’s Dubai food tour. I’ve not had falafel as good as these, nor look like these. Their insides are brilliant green. An Egyptian family run the falafel shop and we spend some time taste testing and watching falafel prepared at lightning speed. 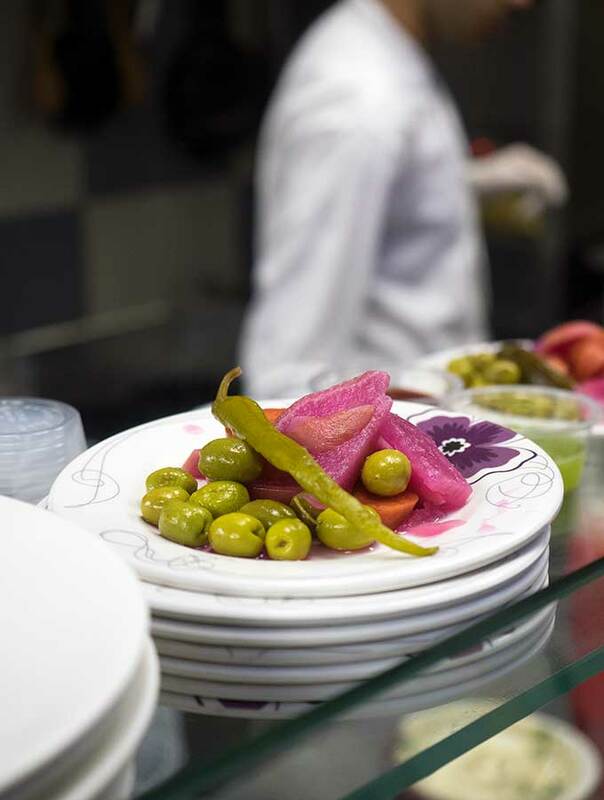 Some falafel being stuffed, and plates piled high with hummus and pickles. 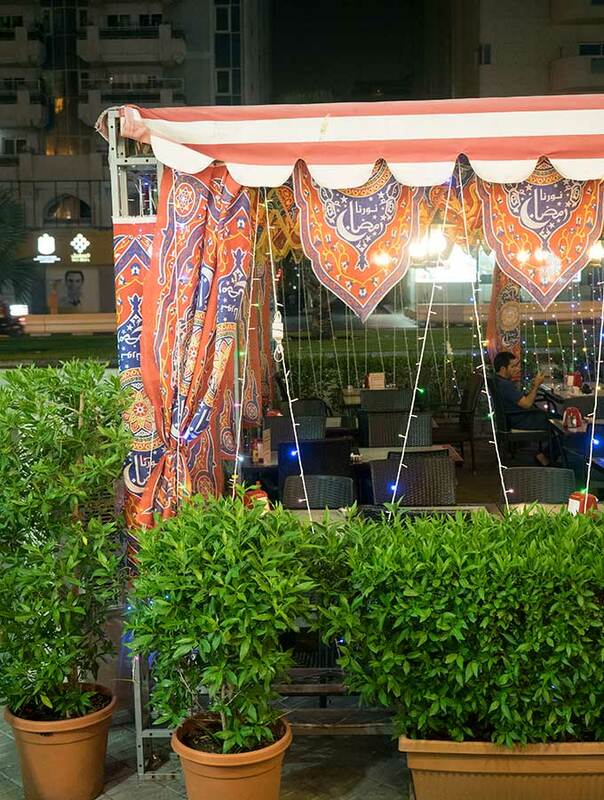 We leave the shop and head to an outdoor dining area of the Palestinian-Jordanian restaurant next door. Here we get to try the stuffed falafel, something I have not tried before. These are called falafel mashi, the same brilliant green, soft fluffy interior as the plain falafel, but stuffed with onion, sumac and chilli. Served with tahini, chili, hummus, green chilli sauce and pickles. As it is Ramadan we try a special apricot drink, Qamar Al-deen. At the end of apricot season, mushy ripe apricots are blitzed to a pulp and then sun-dried into apricot leather (dried strips). During Ramadan the apricot strips are rehydrated with water and blended to make a very thick sweet apricot nectar. 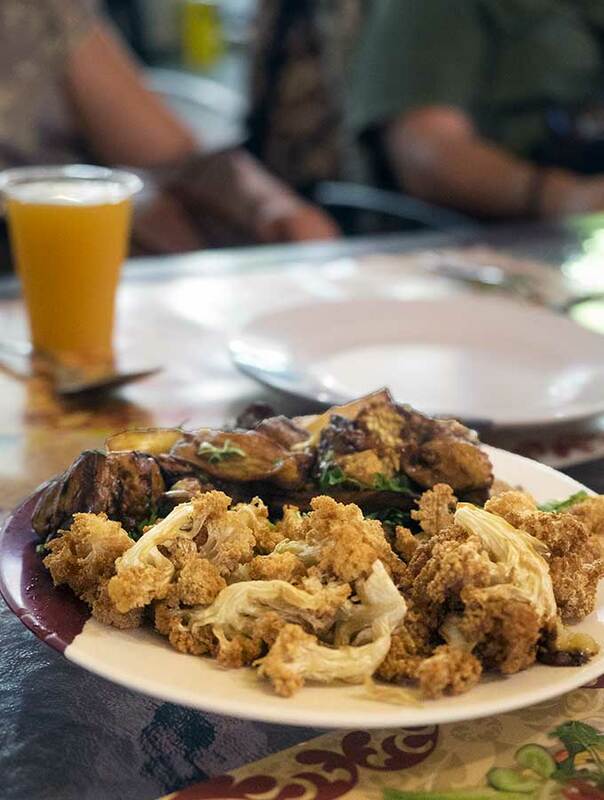 Along with our stuffed and normal falafel we are served more delicious flatbread, hummus, pickles and fried cauliflower and eggplant. After our fill of falafel we head inside the Palestinian-Jordanian restaurant that we commandeered the seating from. The walls lined with biscuits and other sweet treats. But we aren’t here for that, we have come for kanafeh. 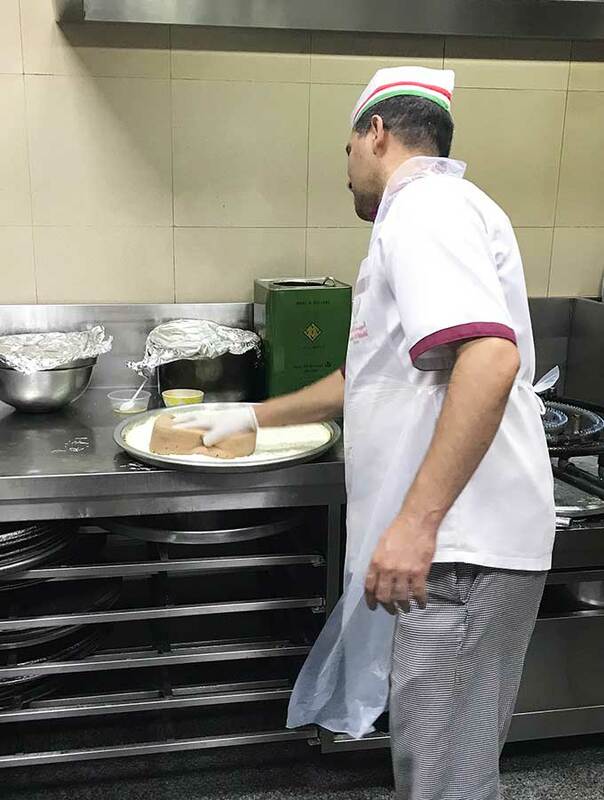 We head through the restaurant to the kitchen for a kanafeh demonstration and tasting. Noodle-like strips of pastry are placed on a large round baking tray. This is then covered in a mild cheese perfumed with mastic and smoothed down with what looks like an old car washing sponge. 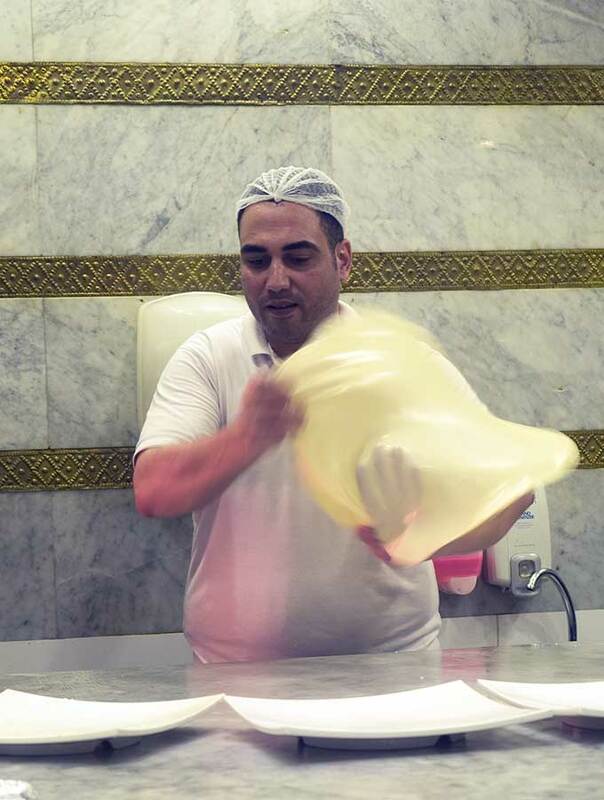 We are assured it has never been used to wash cars and is a special sponge for making kanafeh. More pastry strips are added on top of the cheese. Cooked on a stove until crunchy and crisp, then sweet rosewater syrup is poured over. 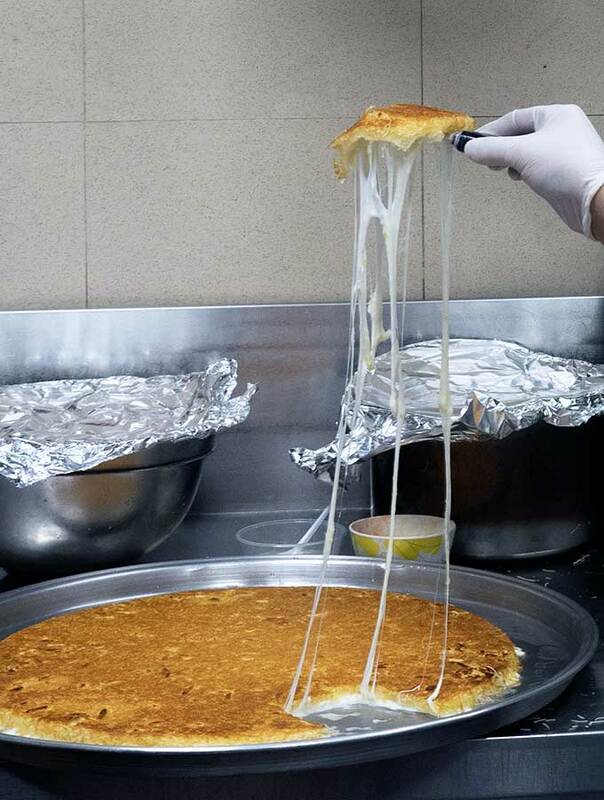 The kanafeh is sweet, buttery and has an envious cheese stretch to it. 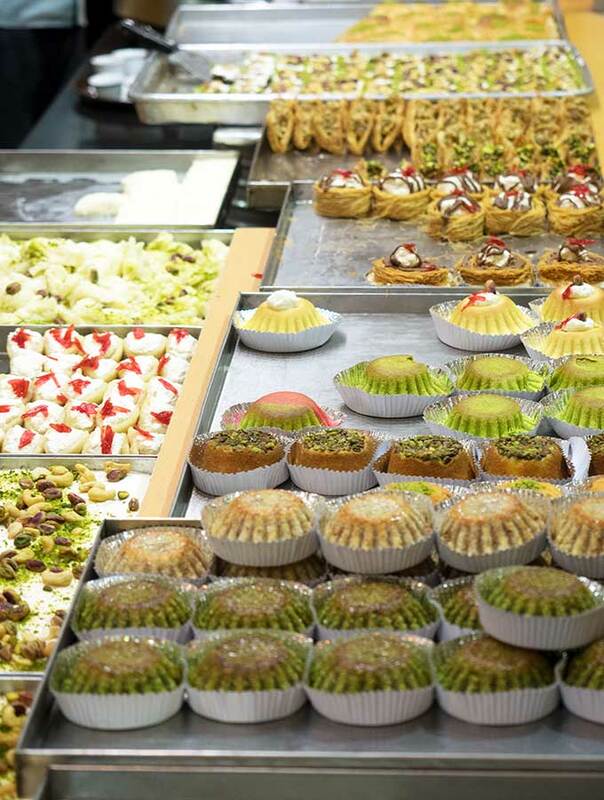 Is there anything as sweet as a Lebanese cake shop? 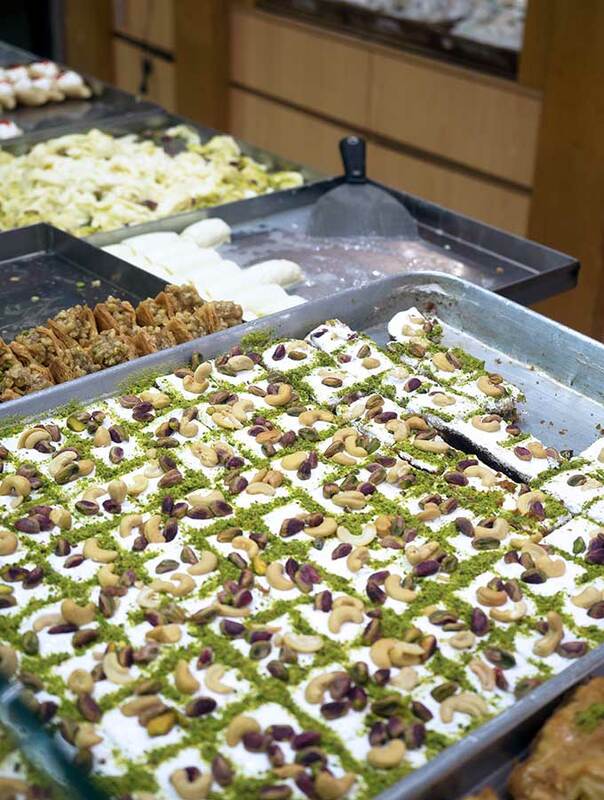 Counters run the circumference of the shop laden with baklava, cakes and sweets. The friendly owners invite us to taste anything we would like. The choice is overwhelming. I try a popular drink called Jallab. 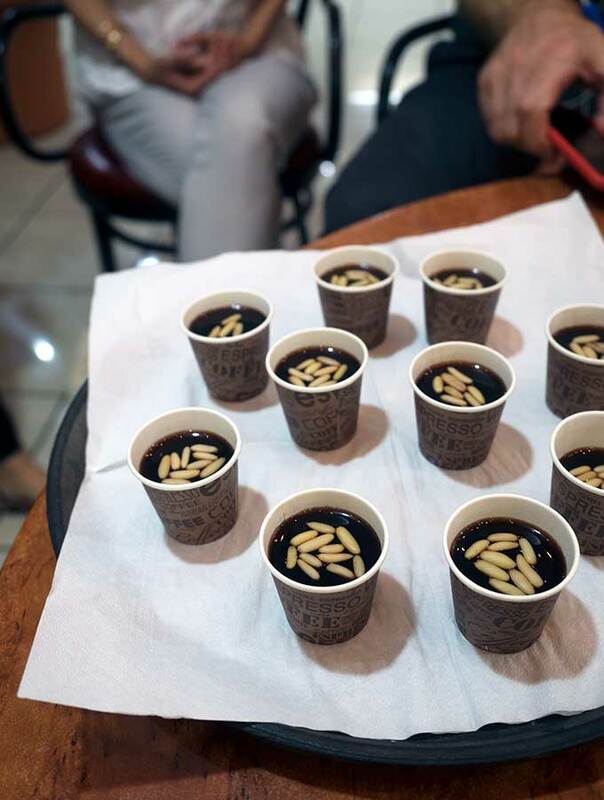 Jallab is a sweet fruit drink made from carob, dates, rosewater and grape molasses. When served it’s often topped with pine nuts. It can also be served over crushed ice. 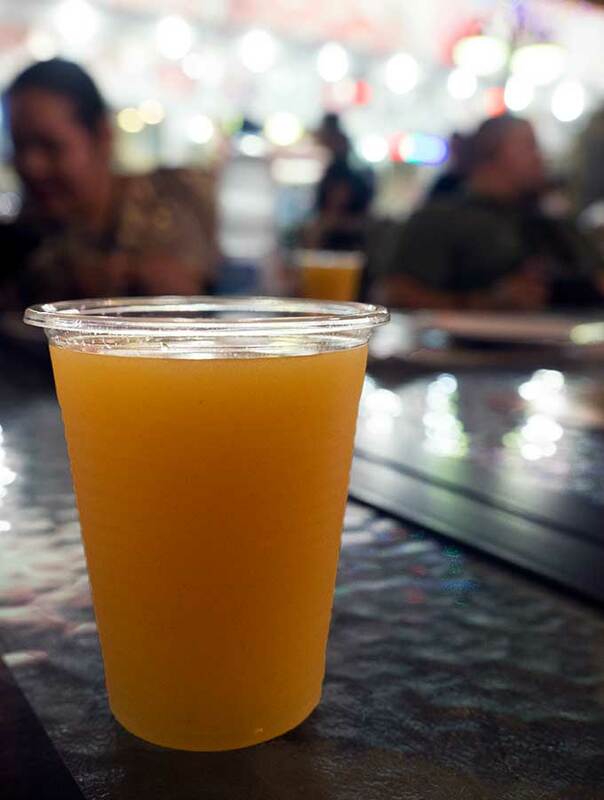 It’s refreshing, cold and sweet. Nahla then produces a plate topped, with what looks like meringue. 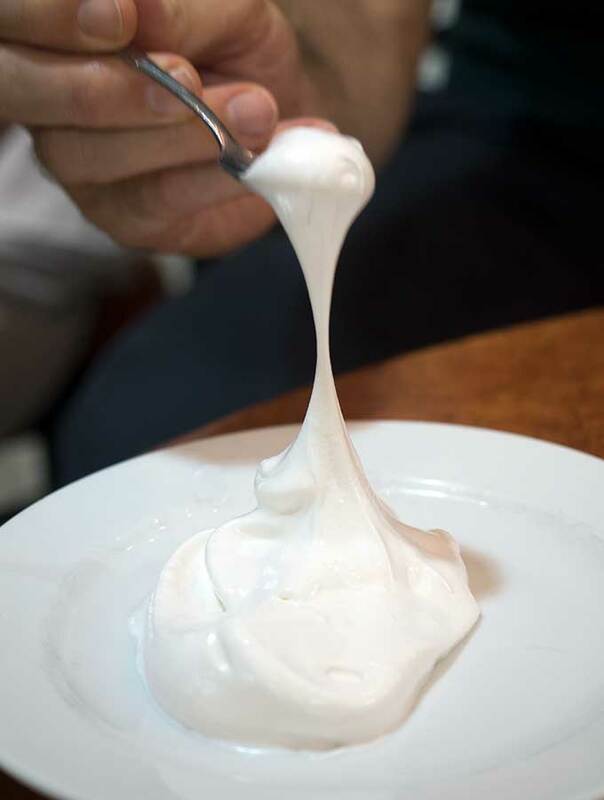 It’s a type of meringue made with a special ingredient. We are invited to guess what it is. After a taste of the light and fluffy meringue, nobody has a clue what the secret ingredient could be. Nahla proclaims “soap!” The meringue is called Natef. Soapwort roots are boiled and the liquid is used to make meringue. If too much soapwort is used it can give you a headache. It’s very similar to marshmallow fluff and contains no eggs. Coffee is enjoyed with a side order of coffee etiquette. Small cups are used and never filled to the top. This implies the host will keep serving you coffee. If the cup is filled to the top it is a signal to the visitor it’s time to leave. The final stop for the evening is to try an Egyptian pie. It’s mesmerising watching the filo pastry being stretched and flipped through the air. The pastry is then filled with various ingredients and baked. The result is feteer (fatair according to the menu) a crunchy flaky style pie. More fairy lights and outside dining as we wait for our pies to bake. There are numerous pie fillings to choose from and available in medium and large sizes. They do a very popular takeaway trade as well, with pizza boxes of pie departing the restaurant at regular intervals. The round feteer is cut into squares for serving. I opt to try the beef pastrami feteer. The pastry is light and crisp, the filling not too over the top. They keep it simple as a good Italian pizza should be. 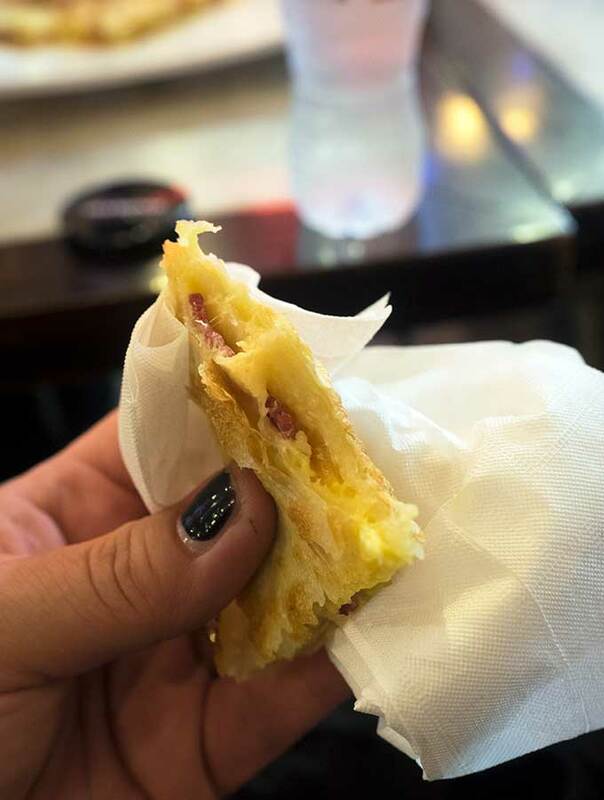 The filling is minimalistic with the pastrami and cheese. 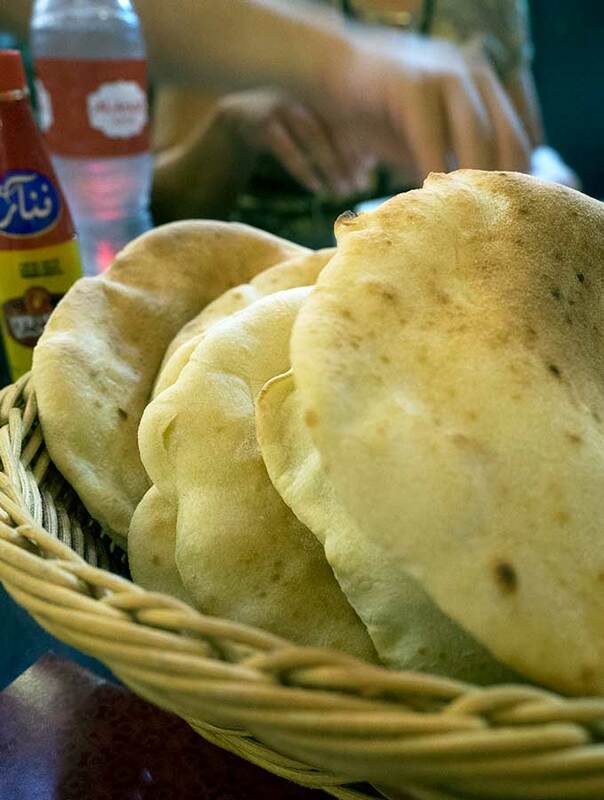 Not only do we try the feteer, there is also more bread and dips served along with kushari. 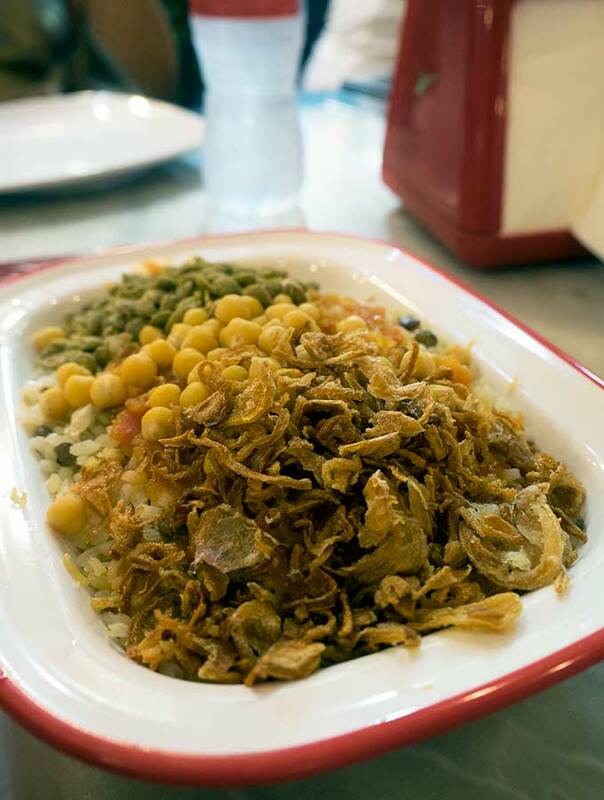 Kushari, or koshari, is an Egyptian comfort dish made with rice, macaroni and lentils. This is mixed together and topped with tomato sauce, garlic vinegar, chickpeas and fried onions. 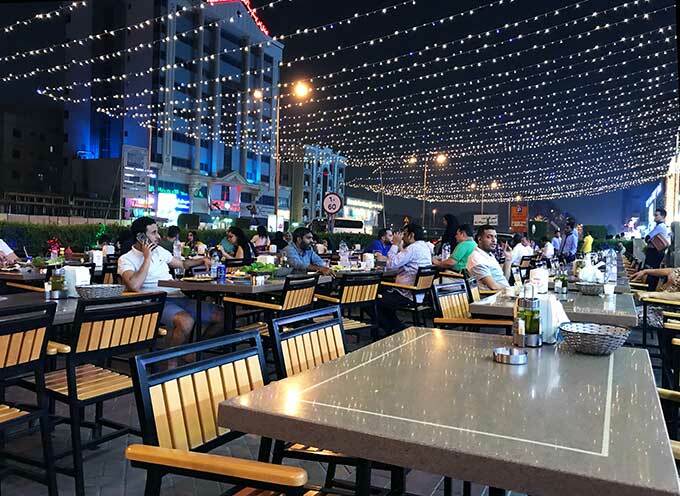 Is it worth doing a Dubai food tour when you are in town? Yes, absolutely yes. I discovered some tasty gems I wouldn’t have come across otherwise. Plus you can’t pass on local knowledge shared regarding the food at its heritage. Belly Rumbles stayed as a guest of Frying Pan Adventures and Dubai Tourism, but all opinions remain her own. I would imagine that after fasting all day long, almost anything would sound good to eat. However you’ve shown us unusually wonderful food, and a tour like you described will be a great way to explore Dubai. My mouth was watering as I read about feteers! 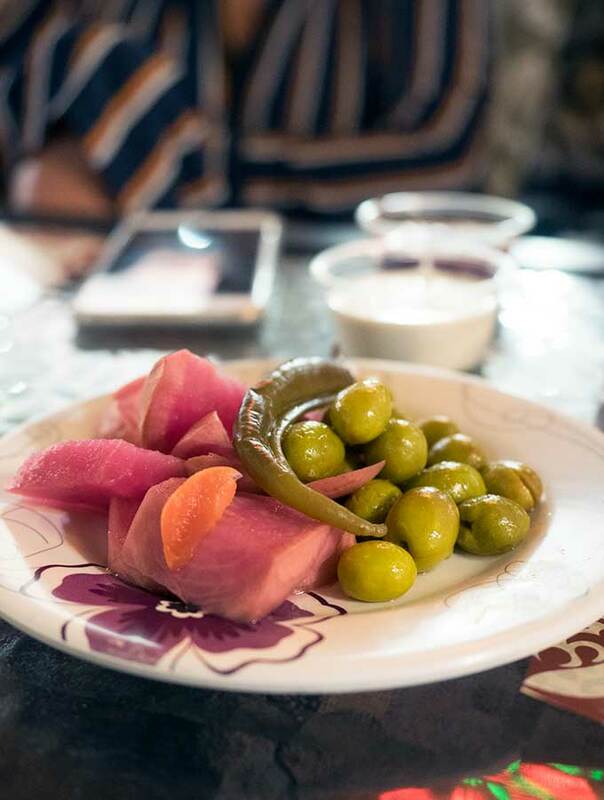 My friend Amanda raves that the food tour she did in Dubai is one of the best food tours she’s ever been on. Next time I go I definitely want to do a food tour there. I love Middle Eastern cuisine and everything you had looks and sounds delicious. I can see the food tour in Dubai was really epic. 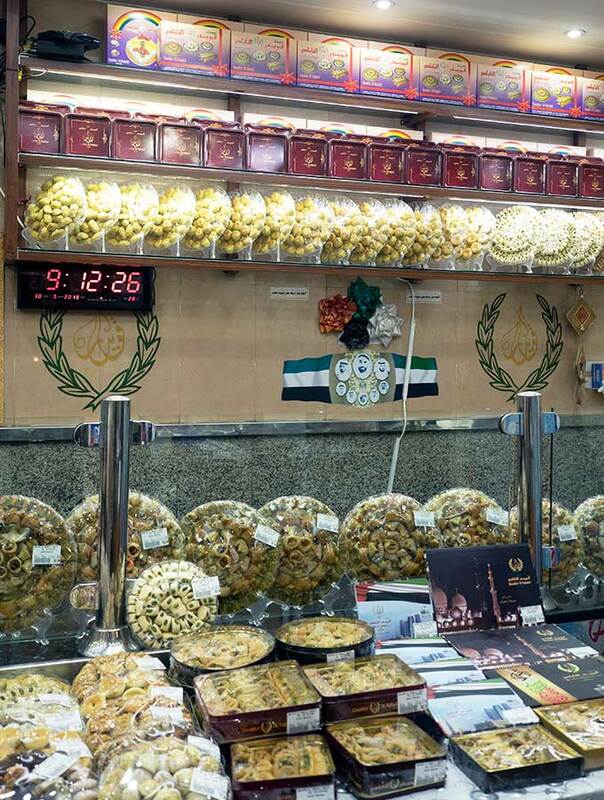 Experiencing the food tour during Ramadan in Dubai must have been quite an experience. Ramadan brings out the best of food and that is evident in the vast range of food on offer. Falafels look really irresistible and the Baklavas something to die for. It really was a wonderful time to experience the food in Dubai. I love food tours! Recently, my blogger friends and I have been invited weekly by different restaurants and it’s awesome! But, how sweet is a Lebanese cake? 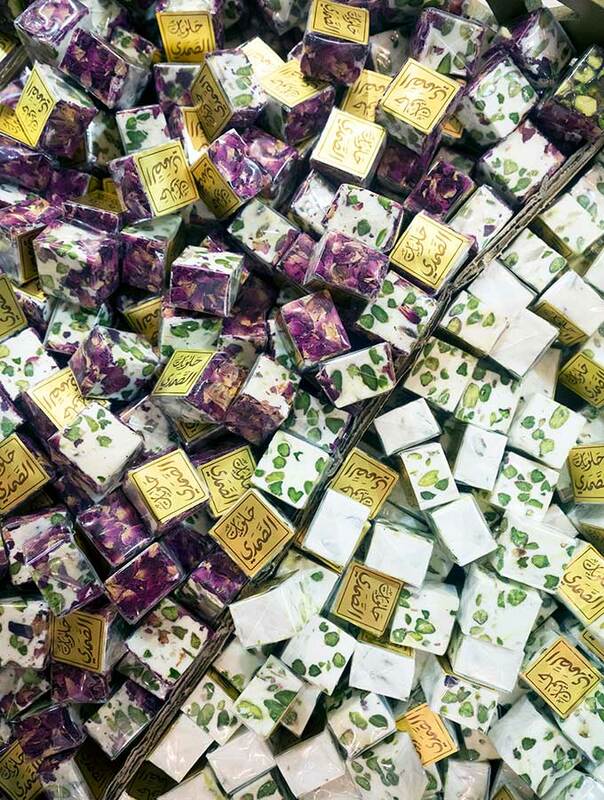 What flavours did you get to taste? How generous the owner is for letting you taste whatever you wanted! Shawarma is really popular here in the Philippines, too! But I like chicken shawarma! Lucky you on the restaurant invites, sounds like great fun. I really enjoyed the baklava, pistachio in particular. There was a date cake as well which was delicious. Wow, what a fun tour in Dubai and interesting timing around Ramadan. I love Middle Eastern food, and could eat shawarma, falafel, and hummus all day long and never get sick of it. 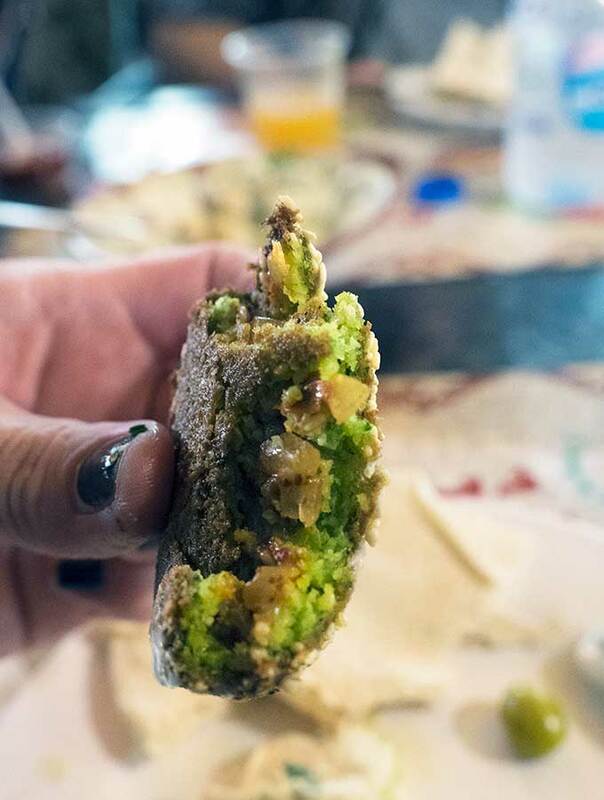 I went to Doha last year and ate my weight in freshly baked breads, falafel, and spit-roasted meat, with plenty of pickles and hummus of course. 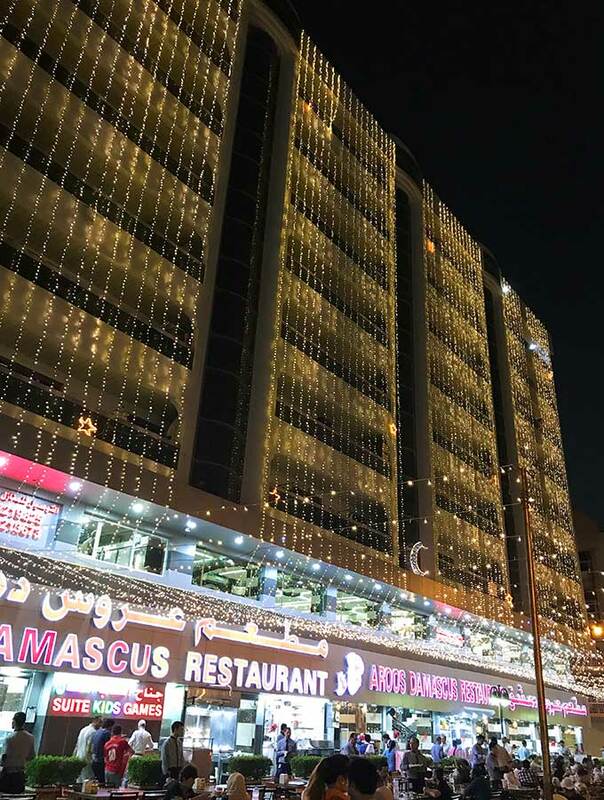 It is great to showcase a different side of Dubai as well, away from the gleaming malls and skyscrapers that get most of the buzz. Great job! It really was great experiencing the tour during Ramadan. A few different foods to try and the area we were in was just so alive with people. 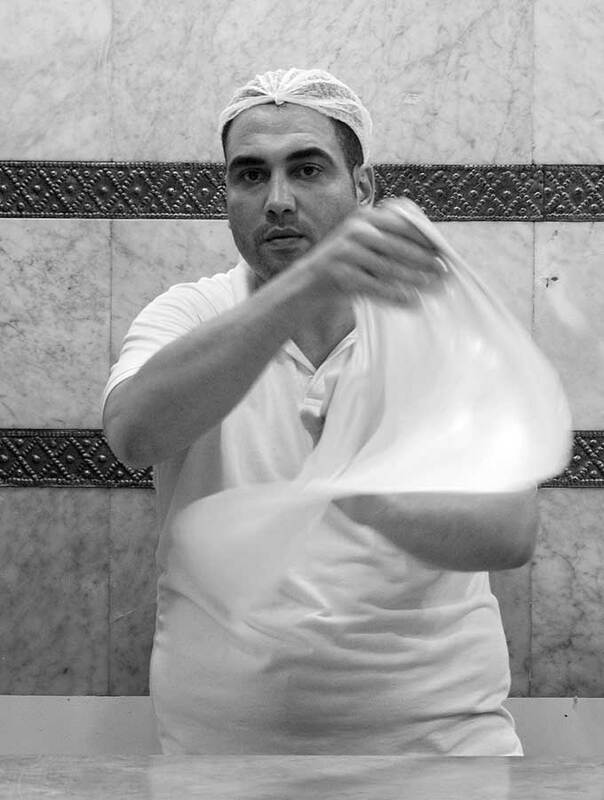 I LOVE food tours and the Middle Eastern Food Pilgrimage looks fantastic! Although all of the food looks great, I would love to try the kanafeh. Thanks for sharing! 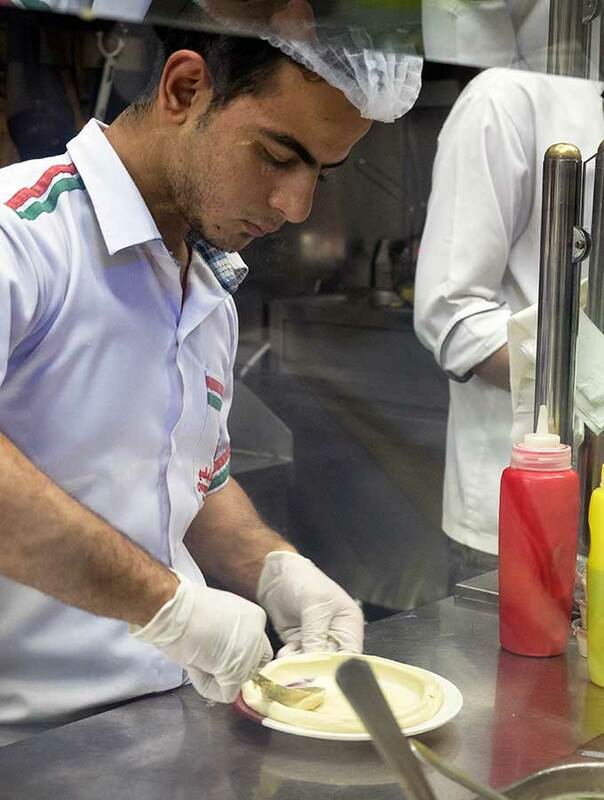 It was so much fun watching the kanafeh being made, then eating it freshly cooked! I grew up in Abu Dhabi and have always relished Arabic food. 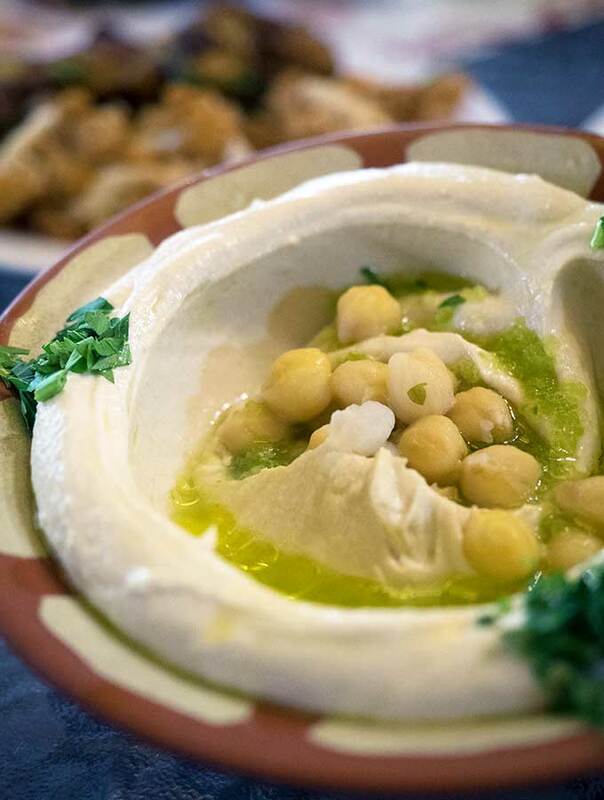 Hummus, Taboleh , Pita, Falafel – these were like home food for me. And having seen it all. I see that the spread that you have shared is quite amazing. My mouth is watering just looking at that Baklava. I wish that I could have one right now! Sigh! I feel in love with the food, especially the freshly baked bread with hummus and other dips, delicious. I would seriously consider doing a food tour in Dubai as one I never been to the city and two, I love checking out the local cuisine. I never had Kanafeh before and that does look mighty yummy. The kanafeh was buttery and really delicious. It was well worth getting to experience the local food on the tour. Falafel is hands down my favourite thing but those sweets look so so good. I would really like to try Qamar Al-deen as well. Those falafel were next level, they are the best I have had to date. This looks awesome. If I am ever back in Dubai, I’ll have to keep it in mind. 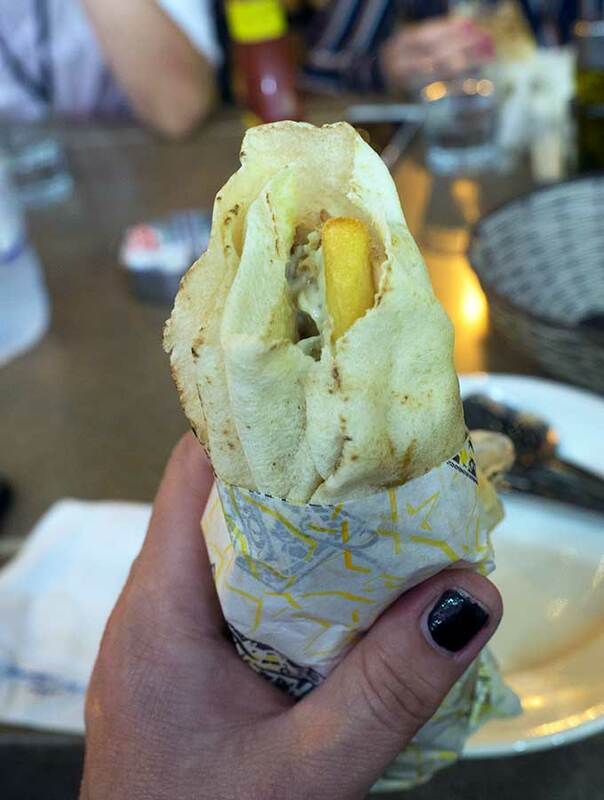 If you buy a gyros in Greece it will have chips in it it as well.